This article goes over how to embed forms and other materials into course lectures. NOTE: Customer Care cannot assist with the maintenance or troubleshooting of custom code. Additionally, for any change made via custom code, we cannot ensure its functionality or full compatibility with current or future versions of Teachable. This includes how the code functions as well as how it impacts the appearance on mobile and web browsers. In the admin sidebar, select the course into which you want to embed content. If the course is not displayed, click View All to see all courses in your school. Click Curriculum and select a lecture, or create a new lecture. Insert the embed code snippet in the Add Code tab of the lecture editor and click Save. Forms and surveys are common types of content that Teachable school owners embed into course lectures. 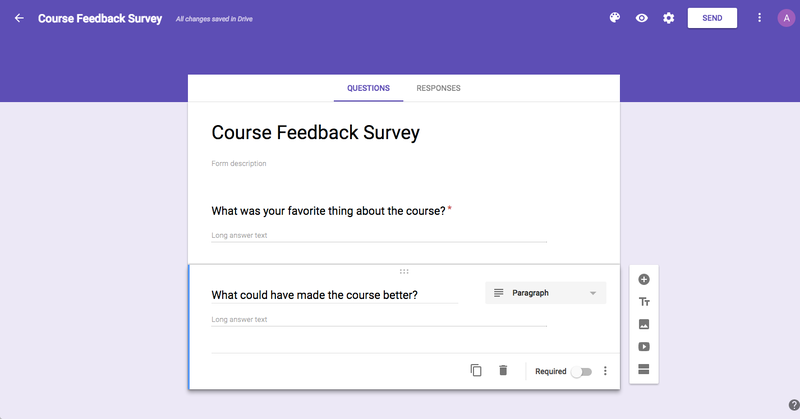 A form allows you to collect information from students — such as course feedback, homework assignments, or additional contact information. 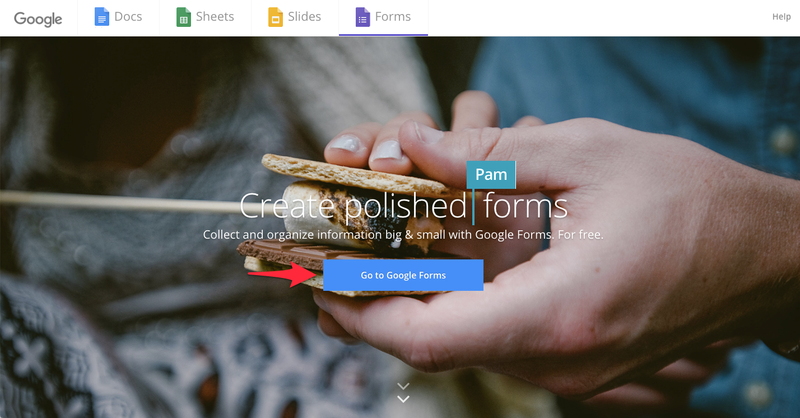 On the Google Forms homepage, click Go to Google Forms. Follow Google’s instructions for creating a form or survey. 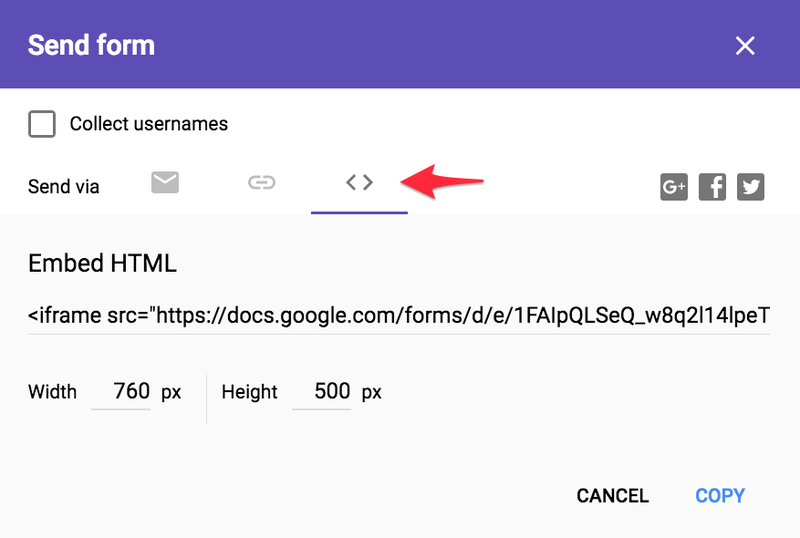 TIP: You can choose from a range of Google Form templates by clicking the More option on the Google Forms homepage. There, you can find pre-made customer feedback forms, course evaluation forms, and more. Once you're satisfied with the form, click the Send button. Select the brackets (< >) icon. This will give you the HTML embed code snippet for the form. Click Copy in the lower right-hand corner of the pop up modal to automatically copy the HTML embed code. Then, navigate back to your Teachable school. Add the Google Form HTML embed code in the Add Code tab of the lecture editor. Click Save. Now, if you Preview your lecture, the embedded form will appear in the lecture.